We use the newest DMX and PWM technology, digital signal demand, more steady. 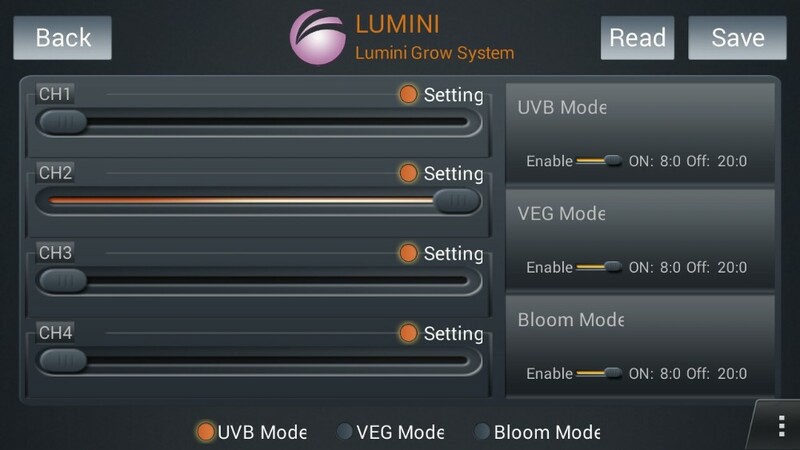 You can program the lamp via Android or iOS devices. 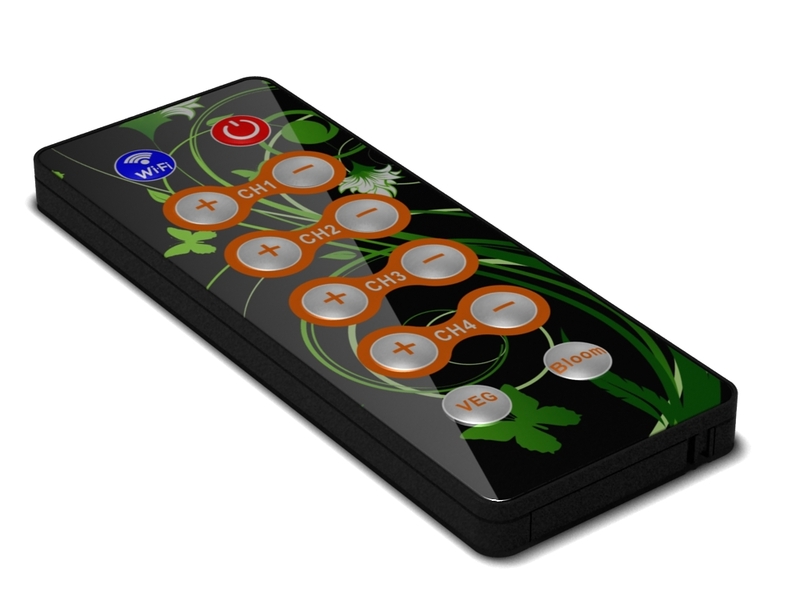 There are 4 individually adjustable channels, each with dimmer and timer, Veg, Flower, UVB, full spectrum mode, daisy chain system. The LCD display indicates the intensity in each channel and fans’ working status. 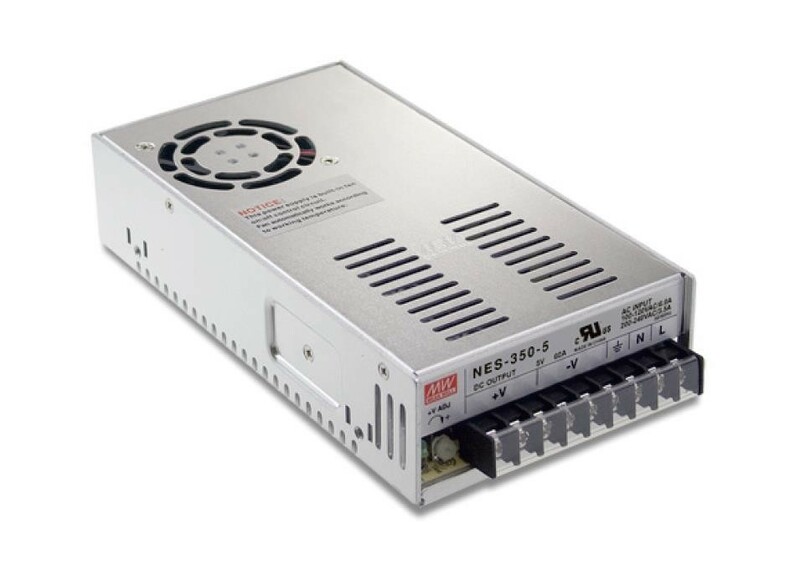 Steady and smart voltage auto-switching regulating power supply, adjusts to the appropriate voltage for international use. 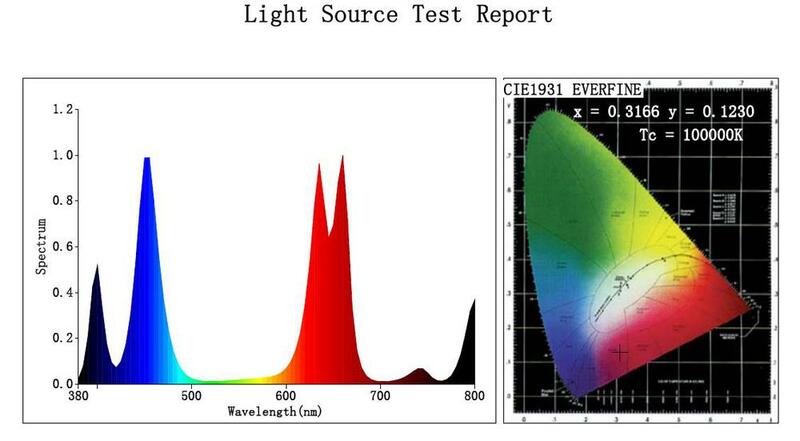 Many other LED brands are running with lower wattage and lesser input current. 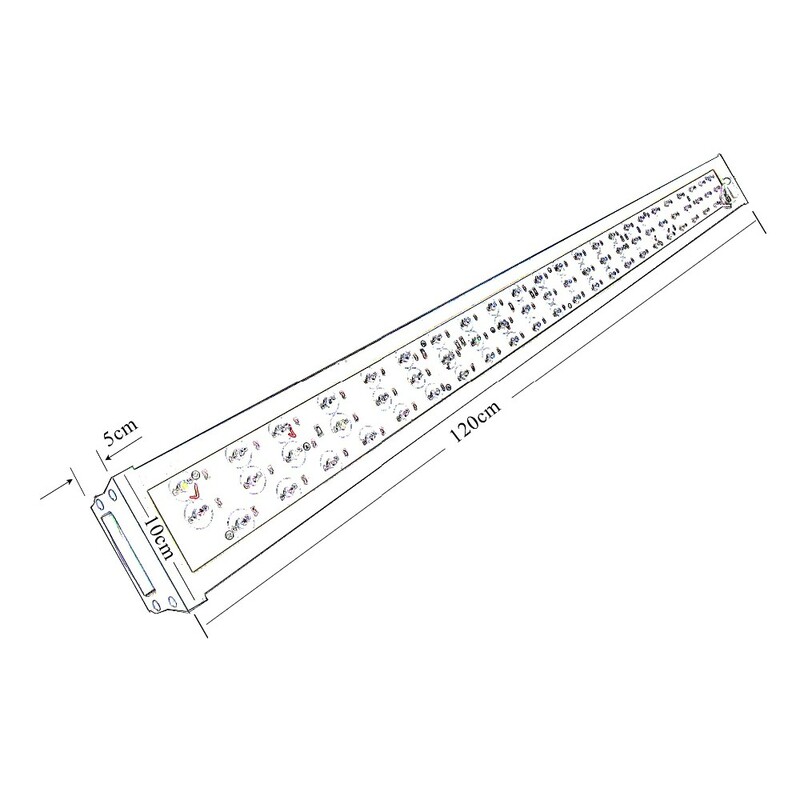 We use full 5W LEDs which are running at standard 700mA driving current, providing high brightness, high efficiency, longer lifespan. 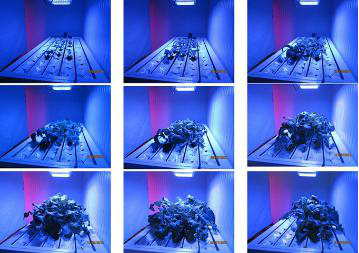 It provides high lumens up to 10000~12000 LM, which is more powerful, equal to a 600W HPS light. 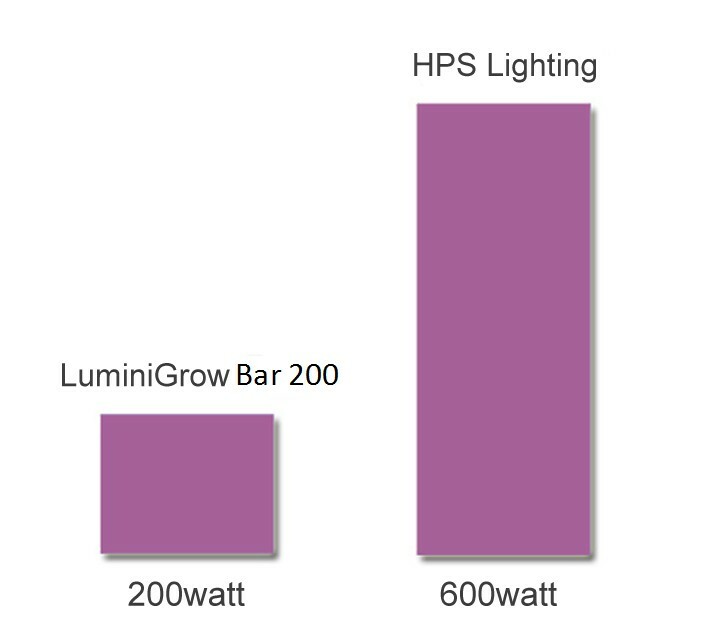 LuminiGrow Bar200 uses approximately 60% less power than a 600 watt HPS lighting, and produce crops with better yields. 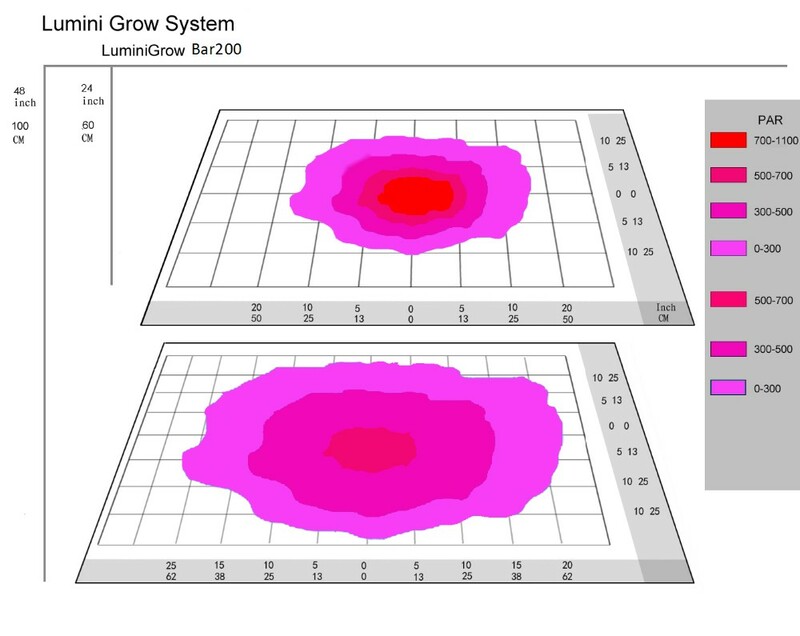 Plants in different phases of growth require different intensity light. 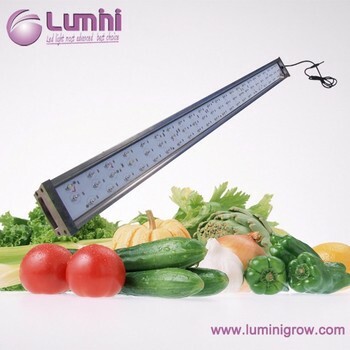 LuminiGrow Bar200 provides 4 adjustable channels which allow you to save energy by reducing intensity for young seedling.